Barcelona is known for its grand multitude of wonderful features: delectable cuisine, beautiful beaches, and unique architecture are just a few examples. However, one quality of Barcelona that stands out from the rest is the outstanding entertainment! This city hosts some of the finest shows around, from spellbinding concerts to exciting flamenco dancing. One incredible venue here is the historic Teatro Liceu. Discover why this is one of the best performance venues in Barcelona and make plans to spend an evening there today. Where is the Teatro Liceu Located? This attraction is located on La Rambla in Barcelona. You’ll be able to spot this building right away; its classic architecture and towering appearance make it a distinguishable icon in Barcelona. 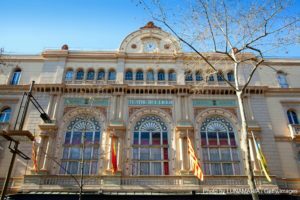 What is the History of the Teatro Liceu? The origins of this magnificent opera house can be traced all the way back to the year 1837, when an organization of liberal, armed citizen militias (known as the Sociedad Dramática de Aficionados, or Society of Theatre-Lovers) founded a music conservatory. Created as a result of Barcelona’s rapidly growing population and economy, the opera house first opened its doors to the public in 1847. With its colossal size and 4,000 seats, it was the largest opera house in all of Europe. Today, you can take guided tours of this venue to admire its beauty and characteristics. What Kind of Shows are Performed at the Teatro Liceu? Being an opera house, this venue primarily features a wide variety of different operas, such as Macbeth and Elektra. Some of the most famed opera singers have performed in this very venue, including Tebaldi, Domingo, and Pavarotti. However, operas are not the only Gran Teatre del Liceu events you can attend in Barcelona. This opera house also hosts concerts, symphonies, ballets, and much more. Stay up-to-date with the Liceu Opera House calendar so you don’t miss your favorite show while you’re visiting Barcelona. How Do I Purchase Tickets for a Show at the Teatro Liceu? There are a few different options for buying your tickets to the Gran Teatre Del Liceu events! You can buy them online, through their mobile app, at their box office, or by calling them at 902 787 397. Take a look at their box office hours before you go! Book Your Dream Vacation Home in Barcelona with bizFlats! Treat yourself to lodging in the finest accommodations during your dream getaway to the exotic destination of Barcelona, Spain! bizFlats Vacation Rentals has everything you need to feel right at home while you’re on vacation! We offer luxurious lofts, villas, cottages, and apartments located throughout the most picturesque parts of Barcelona. Whether you want to treat yourself to views of the beach or settle down in the heart of the city, we have the perfect spot for you! We know you’ll love our comfortable furnishings and incredible amenities, so check our availability online right now to book your favorite vacation rental in Barcelona! Music enthusiasts should consider the city of Barcelona, Spain, as their next vacation destination. This gorgeous and exciting area offers endless opportunities for entertainment, including numerous musical and dancing performances. If you’re visiting this city and you’re looking for the best concerts, you need to see what’s going on at Palau de la Musica in Barcelona. One of the finest event venues around, this magnificent building is the perfect setting for an unforgettable night in Barcelona. 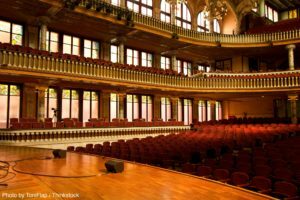 Learn everything you need to know about Palau de la Musica and check their events schedule today! This eye-catching attraction was built in the early 1900s by the beloved architect, Lluís Domènech i Montaner. Palau de la Musica Catalana was constructed with the purpose of fostering musical appreciation to the community by providing them with the finest entertainment possible. You’ll spot this gorgeous structure right away due to its iconic, colorful stained-glass windows and towering columns. You’ll find it easily, as it’s located nearby to popular Barcelona attractions like Las Ramblas and the Barcelona Cathedral. Visitors and locals alike flock to Palau de la Musica in Barcelona from near and far to experience the incredible shows held here. They host over 600 shows annually, with over 190,000 visitors attending these extravagant events every year. These amazing shows include flamenco dancing, symphony orchestra performances, operas, concerts, and much more. Many performances of the Maestros de la Guitarra are held here as well. Take a look at their events calendar to see the full schedule of performances! While you’re here, you should also consider participating in a guided tour of the Palau de la Musica Catalana. A historic building that is recognized as a World Heritage Site, this is one of the best places to take a tour in Barcelona. You’ll be treated to stories of this building’s past, as well as behind-the-scenes peeks into how these productions are created. You can purchase your tickets for the events at the Palau de la Musica either online or at their box office. If you have any questions about tickets, you can contact them by calling (902) 442-882. Come Stay with Us at bizFlats Vacation Rentals! No vacation is complete without a wonderful place to stay! Treat yourself to lodging in the finest accommodations during your Christmas getaway to Barcelona to admire all the festive attractions! bizFlats Vacation Rentals has everything you need to feel right at home while you’re on vacation! We offer luxurious lofts, villas, cottages, and apartments located throughout the most picturesque parts of Barcelona. Whether you want to treat yourself to views of the beach or settle down in the heart of the city, we have the perfect spot for you! We know you’ll love our comfortable furnishings and incredible amenities, so check our availability online right now to book your favorite vacation rental in Barcelona! Where is the Best Barcelona Christmas Market? The holiday season is such a magical time of year! If you’re looking for the perfect place to spend your Christmas, Barcelona is your ideal destination. This enchanting and exotic city is home to some truly incredible attractions and activities during this time of year. During the day, shopping in a Barcelona Christmas market is a popular pastime. As the sun dips below the horizon, the streets illuminate with countless Barcelona Christmas lights twinkling in the dark. While you’re in this city enjoying the quirky Christmas traditions and festivities, be sure to purchase a souvenir at a Barcelona Christmas market to commemorate your trip! Here are some of the best Christmas fairs in Barcelona to explore during your vacation. A Barcelona Christmas tradition that dates all the way back to 1786, Fira de Santa Llúcia is a can’t-miss event. Their many booths feature items like musical instruments, Christmas decorations, crafts, and much more. This is one of the most authentic Spanish markets in the city. Address: Carrer dels Lledó, 11, 2, 08002 Barcelona, España. Located within gardens surrounding the iconic Sagrada Familia is the Fira de Nadal a la Sagrada Familia runs from late November through the beginning of December. They offer all the gifts and treats you need for the Christmas season! Address: Plaza de la Sagrada Familia, 1, 08013 Barcelona, España. This particular market is open all year long, but it especially busy during the holidays. They offer a wide variety of precious antiques and other rare artifacts to browse. You’re bound to find a unique treasure here! Address: Avenida Catedral, 7, Ciutat Vella, El Barri Gòtic, 08002, Barcelona, España. This is the best place to go if you’re looking for some of the finest local foods and produce! Col.lectiu d’Artesans de l’Alimentació offers a wide selection of chocolates, wines, cakes, honey, cheeses, herbs, and much more. They are open year round, so visitors are always able to stop by. Address: Plaça del Pi, 08002 Barcelona, España. Located in the lovely El Born area, Mostra d’Artesans de la Ribera offers excellent hand-crafted gifts. There are also many other shops located nearby this spot for you to continue your shopping adventure in Barcelona. Address: Carrer de l’Argenteria, 4, Barcelona, España. 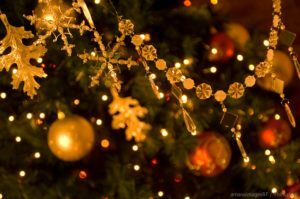 Come Stay with Us at bizFlats Vacation Rentals to Complete Your Christmas Getaway to Barcelona! Treat yourself to a stay in the finest accommodations during your Christmas getaway to Barcelona to admire all the festive attractions! bizFlats Vacation Rentals has everything you need to feel right at home while you’re on vacation! We offer luxurious lofts, villas, cottages, and apartments located throughout the most picturesque parts of Barcelona. Whether you want to treat yourself to views of the beach or settle down in the heart of the city, we have the perfect spot for you! We know you’ll love our comfortable furnishings and incredible amenities, so check our availability online right now to book your favorite vacation rental in Barcelona! Fun and excitement abound in the thriving city of Barcelona, Spain. This area is the dream vacation destination for many reasons. Whether you want to go for a hike, sunbathe on the beach, shop for souvenirs, or explore history, Barcelona contains the perfect activity for you. With so many one-of-a-kind attractions, a colorful culture, and delectable dining, Barcelona contains all the ingredients for a vacation you’ll never forget. One attraction you have to visit while you’re exploring this city is the Mercat de Sant Antoni. You’ll find plenty of things to do here and you’re guaranteed to return with a shopping bag bursting with goodies. Discover everything you need to know about the Mercat de Sant Antoni and be sure to stop by during your trip. 1. What is the Mercat de Sant Antoni? The Mercat de Sant Antoni is one of the largest market halls in Barcelona that is still active to this day! Found at Carrer del Comte d’Urgell, 1 in Barcelona, this bustling market is overflowing with fantastic vendors. It’s also a local favorite because not many tourists know about it. They are open Monday through Thursday from 7:00 a.m. to 2:00 p.m., Friday and Saturday 7:00 a.m. to 8:30 p.m., and Sunday 8:30 a.m. to 2:30 p.m.
2. What Can You See at the Mercat de Sant Antoni? You will love experiencing all the sights, sounds, and smells of the Mercat de Sant Antoni! This is also known as one of those most characteristic markets in Barcelona due its wide variety of different vendors and booths. Outside, browse through the many displays. You’ll find clothes, homeware, shoes, and, only on Sundays, books and coins. The indoors part of the market contains fresh produce, meat, and fish. 3. What is There to Do at the Mercat de Sant Antoni? You can do more than just shop and stroll at the Mercat de Sant Antoni! You’ll discover a few places to grab a steaming cup of coffee to give yourself a boost. There are also tapas bars located throughout this market if you start craving a bite to eat. This area is surrounded by numerous other attractions as well, so be sure to keep exploring once your shopping is complete! Come Stay with Us at bizFlats Vacation Rentals to Complete Your Barcelona Experience! Find the best place to stay during your Barcelona getaway. Treat yourself to lodging in the finest accommodations during your Christmas getaway to Barcelona to admire all the festive attractions! bizFlats Vacation Rentals has everything you need to feel right at home while you’re on vacation! We offer luxurious lofts, villas, cottages, and apartments located throughout the most picturesque parts of Barcelona. Whether you want to treat yourself to views of the beach or settle down in the heart of the city, we have the perfect spot for you! We know you’ll love our comfortable furnishings and incredible amenities, so check our availability online right now to book your favorite vacation rental in Barcelona! The city of Barcelona, Spain, has countless unique qualities that distinguish it as one of the most desirable vacation destinations in the world. One characteristic in particular that astounds each and every one of its many visitors is the incredible Barcelona architecture. Scattered throughout the streets of this city are numerous magnificent buildings and landmarks unlike any other. 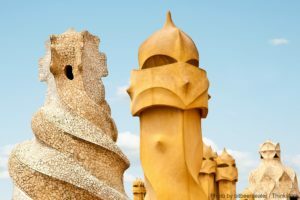 Learn more about the Barcelona famous architecture and start planning your dream getaway to Spain today! The eccentric appearance of this building will catch your eye immediately. Casa Batlló, designed by Antoni Gaudí, is a masterpiece like no other. Easily recognized by its colorful mosaic exterior, this enormous house possesses other distinct qualities, like wavy shapes instead of sharp edges and swirling patterns of numerous colors. One of Barcelona’s most iconic landmarks, La Sagrada Familia is a must-see during your trip to this city. This colossal building is one-of-a-kind because, even though its construction began in the year 1882, it is still under construction today and won’t be complete until the year 2026! You will notice this Barcelona famous architecture right away due to its tall spires and exquisite adornments. Once a high-end neighborhood for wealthy residents, Park Güell is now the perfect place to spend a day in Barcelona. This area contains multiple attractions to visit, such as the Gaudí House Museum, which is dedicated to honoring the life of Park Güell’s architect, Antoni Gaudí. You can observe Gaudí’s trademark style throughout this park; his love of Barcelona modern architecture is visible around every corner. Your jaw will drop the second you step inside the Palace of Catalan Music! A venue for some of the most magical musical performances in Barcelona, this gorgeous concert hall was designed in the Catalan modernista style by Lluís Domènech i Montaner in the early 1900s. This is a wonderful place in Barcelona to attend an event; they host over 600 concerts per year! Take a look at their calendar of events to see when you can attend their next big show. Also known as Casa Milà, La Pedrera is another product of Antoni Gaudí’s talents and hard work. This is a cultural center where people come to learn more about Barcelona architecture history as well as other fascinating facts about the city. You’ll find plenty of things to do here, so add it to your vacation itinerary today! After hours of admiring the beautiful Barcelona architecture, take some time to unwind by settling down in the finest accommodations in the entire city. bizFlats Vacation Rentals has everything you need to feel right at home while you’re on vacation! We offer luxurious lofts, villas, cottages, and apartments located throughout the most picturesque parts of Barcelona. Whether you want to treat yourself to views of the beach or settle down in the heart of the city, we have the perfect spot for you! We know you’ll love our comfortable furnishings and incredible amenities, so check our availability online right now to book your favorite vacation rental in Barcelona! Barcelona, Spain, has a rich and fascinating culture. With its innumerable, timeless traditions, this city contains all kinds of unique things to do and see. If you’re planning a getaway to Barcelona, you might be wondering what to do first. There are an abundance of stunning, historic buildings and attractions, not to mention the numerous museums honoring the influential figures of the past. One activity you don’t want to skip while you’re here is attending one of the shows of the Maestros de la Guitarra. Discover everything you need to know about this popular Barcelona attraction and make your plans to attend today! What Is Maestros de la Guitarra? A grand musical event like you’ve never experienced before, Maestros de la Guitarra produces around 300 amazing concerts per year. Attend Maestros de la Guitarra and watch as talented dancers and musicians showcase their incredible skills. Each performer reflects Barcelona’s colorful culture and lifestyle through their songs and dances. Some have performed all over the world, sharing a bit this city’s vibrant and exotic environment with people in other parts of the globe. A few highlights of these performers include Grammy winner David Russell, the band Beijing Guitar Duo, Berta Rojas, and countless others. Where Is Maestros de la Guitarra? This music festival holds its numerous concerts in three different venues in Barcelona: Palau de la Musica, Basilica del Pi, and Sant Jaume. Each of these magnificent venues will take your breath away with their unparalleled architecture and beauty, creating the perfect setting for enjoying a magical night of entertainment in Barcelona. Experiencing one or more of these concerts is one of the best things to do in Barcelona. The historic setting and soothing music combine to create a magical evening in Spain. When Is Maestros de la Guitarra? The concerts of Maestros de la Guitarra begin in June and run until the end of October. You can find their entire schedule online. Take a look at each show to start choosing which ones you’d like to attend. You can even purchase your tickets online as well! Make sure to “Like” the Maestros de la Guitarra Facebook page to receive the latest updates on what’s going on! The best way to complete your trip to the incredible city of Barcelona is to stay in the best lodging possible. 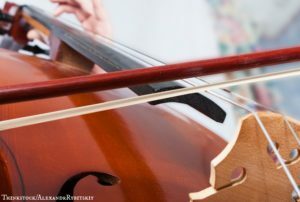 After your lovely evening of enjoying Barcelona culture at Maestros de la Guitarra, take some time to unwind by settling down in the finest accommodations in the entire city. bizFlats Vacation Rentals offers luxurious lofts, villas, cottages, and apartments located throughout the most picturesque parts of this region. Whether you want to treat yourself to views of the beach or settle down in the heart of the city, we have the perfect spot for you! We know you’ll love our comfortable furnishings and incredible amenities, so check our availability online right now to book your favorite vacation rental in Barcelona! Barcelona has so many attractions to explore, both famous landmarks and hidden gems. El Born is one spot in particular that you can’t miss while you’re vacationing here. Learn all about what there is to do in this lovely neighborhood! Take a look at a few favorite attractions in El Born to help you plan the perfect day to this beautiful neighborhood. Picasso Museum: Without a doubt one of the most interesting art museums in all of Barcelona, the Picasso Museum in El Born, Barcelona, is definitely worth your time. Admire priceless works of art while learning more about this famed artist. Music Palace: If you’re a music enthusiast, the Music Palace is the perfect place for you. Let the soothing sounds of a professional orchestra wash over you when you attend a show in this magnificent hall. Basilica Santa Maria del Mar: One of Barcelona’s oldest and most beautiful cathedrals, Basilica Santa Maria del Mar is a majestic building that will leave you speechless. The stained glass windows alone are simply stunning. Take a tour to learn more! 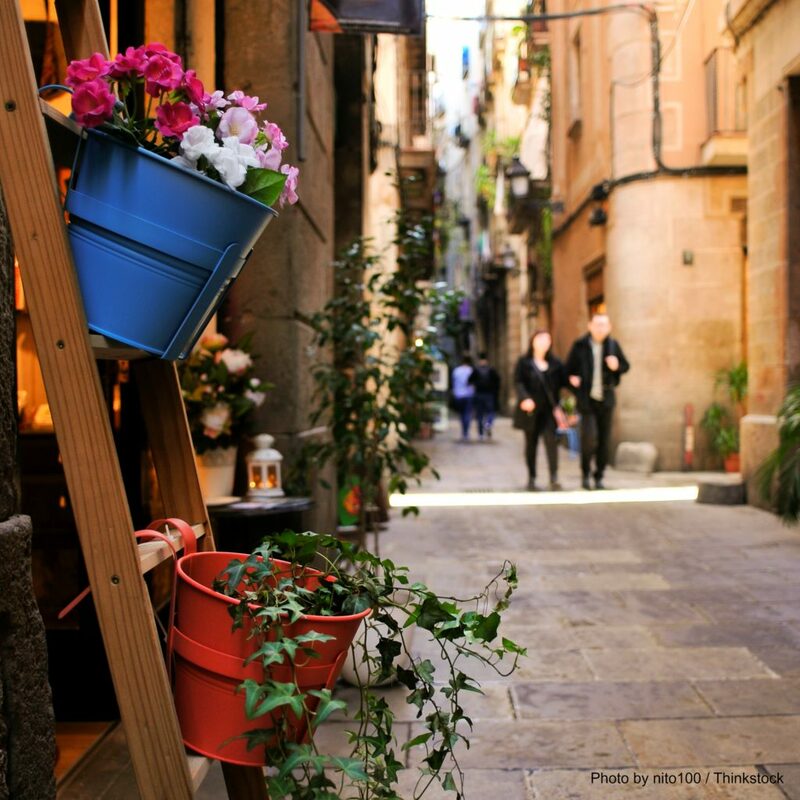 Shopping: You won’t have to search long to find the numerous shops scattered throughout the El Born neighborhood! These carry some of the finest gifts around, making this the perfect place to buy a souvenir to commemorate your trip. Dine like a local while you’re visiting the El Born neighborhood! Here’s some of the best places you should eat. Petra: The scrumptious food served here is bound to satisfy even the hungriest appetite! The dishes that Petra prepares are created with the finest local ingredients to guarantee an amazing meal. Ten’s Tapas Restaurant: This is an award-winning restaurant specializing in a favorite authentic Catalan dish: tapas. Each of Ten’s Tapas Restaurant’s menu items are tasty and unique, making this an excellent stop during your day of activities in the El Born neighborhood. La Carassa: Tucked away in the depths of El Born, this hidden gem offers some truly one-of-a-kind meals in a cozy setting. La Carassa’s Catalan dishes are inspired the food of France, creating some incredibly delicious results. This area is famous for their thrilling nightlife! Roam these streets after dark and you’ll hear the lively sounds of music and laughter drifting from every corner. To find the center of all the excitement, head to the heart of the El Born neighborhood, called the Passeig del Born. The Cat Bar and Miramelindo are two spots in particular that you have to visit! Come Stay with Us at bizFlats Vacation Rentals during Your Getaway to Spain! After your exciting afternoon of exploring one of Barcelona’s finest attractions, take some time to unwind by staying in the best accommodations possible! bizFlats Vacation Rentals offers luxurious lofts, villas, cottages, and apartments located throughout the most picturesque parts of town. Whether you want to treat yourself to views of the beach or settle down in the heart of the city, we have the perfect spot for you! We know you’ll love our comfortable furnishings and incredible amenities, so check our availability online right now to book your favorite vacation rental in Barcelona! If you’re looking for an unforgettable vacation destination that contains outstanding things to see and do, Barcelona, Spain, is your answer! Overflowing with iconic landmarks and breathtaking wonders, this city is guaranteed to leave you with wonderful memories. One attraction you won’t want to miss is the Mercat del Encants, a famous spot in Barcelona for many reasons! 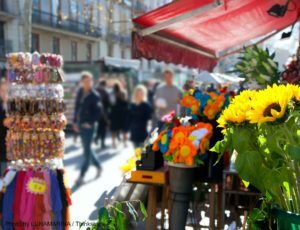 Being the city’s largest and most popular flea market, as well as one of the oldest flea markets in all of Europe, this area is always buzzing with activity. This market is also called Fira de Bellcaire, which roughly translates to “fair old charms”- and that’s what you’ll find here! Visitors and locals alike flock to this market to eagerly browse the countless vendor booths, searching for hidden treasure. With a wide spectrum of goods and trinkets, as well as friendly and helpful locals, you will find yourself spending hours and hours in this neverending selection of amazing items! Discover everything you need to know about the Mercat dels Encants in Barcelona and start making plans to visit and shop today! The address for Mercat dels Encants is C. Dos de Maig, 186. Keep your eyes peeled for the market’s trademark tall canopy if you need help finding it! You can visit this flea market on Mondays, Wednesdays, Fridays, and Saturdays from 9:00 a.m. to 8:00 p.m. The countless vendors of the Mercat dels Encants offer anything and everything you could ever want- and for reasonable prices! Whether you’re searching for a new addition to your wardrobe or new decor for your home, it’s all here in this expansive market. Items that vendors have for sale include furniture, toys, gadgets, decor, antiques, crafts, books, clothing, records, appliances, and much, much more! This is the best place in Barcelona to find the perfect souvenir to commemorate your getaway to this exotic city. A wide, expansive area, this flea market is also the site of numerous events and gatherings! Many different events take place here, such as swing dances and antique auctions. This place is always a treat to visit! 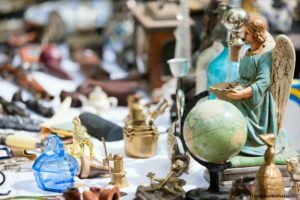 For more places to go shopping in Barcelona, visit the Encants Vells Flea Market during your vacation as well! Book Your Dream Vacation Home with bizFlats Vacation Rentals! No trip is complete without booking a wonderful place to stay. After your exciting day of exploring one of Barcelona’s finest attractions, take some time to unwind by relaxing in the best accommodations possible! bizFlats Vacation Rentals offers luxurious lofts, villas, cottages, and apartments located throughout the most picturesque parts of town. Whether you want to treat yourself to views of the beach or settle down in the heart of the city, we have the perfect spot for you! We know you’ll love our comfortable furnishings and incredible amenities, so check our availability online right now to book your favorite vacation rental in Barcelona!